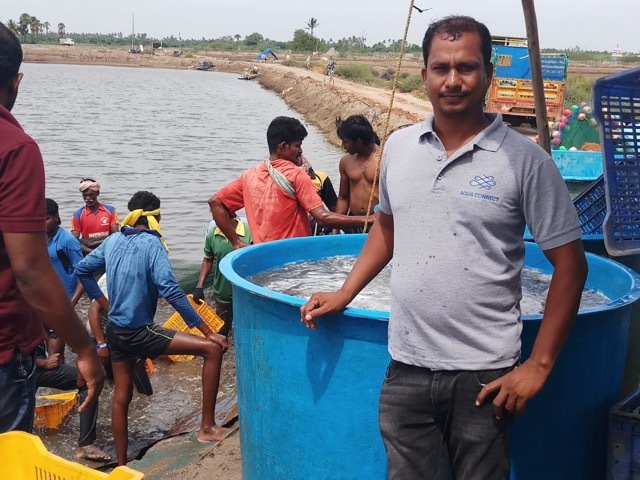 “Shrimp aqua farming is one of the most popular livelihood activities in the coastal region of Andhra Pradesh, Tamil Nadu, Orissa, Kerala, West Bengal, in some parts of Maharashtra and Gujarat. The industry is growing but not the farmers! Reason is farmers lack the awareness and information on value of shrimp in export market. They are confined to selling their aqua produce to the middleman at whatever price (low) offered because shrimp being perishable they can’t hold it for long,” emphasizes Mr. Rajamanohar K S, co-founder, Aqua Connect. Another problem faced by the farmer is procuring quality seed of shrimp. If the seed is of good quality it grows into healthy and big size shrimp that fetch good price however farmers do not have an easy access to the same. Due to these problems aqua farmers are not able to attain growth and prosperity inspite of their committed hard work. 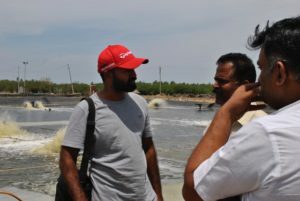 These issues were told to Mr. Rajamanohar, technology entrepreneur by his co-founder Mr. Sanjai Kumar, aqua farmer for more than 25 years. The two met as co-passengers on a train journey, conversed on their respective business and learnt about each other’s expertise. By the end the journey seed of a new venture was sown ‘AquaConnect’ along with two more co-founders, Mr. Shanmudha Sundara Raj and Mr. Karthivelan. Assistance on quality seed procurement directly from licensed hatcheries, feed and probiotics at optimum cost, technical guidance for shrimp culture by the team of experts working on the field and selling shrimps to the export company at the best price are the main activities of Aqua Connect. through which life of aqua farmers will be changed for good. The company is located at Chennai, Tamil Nadu and works with more than 600 farmers in coastal belts of India. It deals in all three shrimp breeds namely Tiger (P. Monodon), P. Indicus and P. Vannamei. 90-120 days is the culture period of shrimp farming in one cycle. “Farmers first go to the hatchery to purchase post larve (baby shrimp), rear it by giving feed plus necessary probiotics and sell it to the export house through agent/middlemen. In this period of 3-4 months he spends Rs. 10-20 thousand on travelling in search of quality seeds, sometimes looses the produce in between due to some disease and later sells the produce after few negotiations to middlemen. Throughout the process he is never at ease and ends up spending more money than earning,” Mr. Rajamanohar elaborates the grave condition of aqua farmers in Indian coastal region. 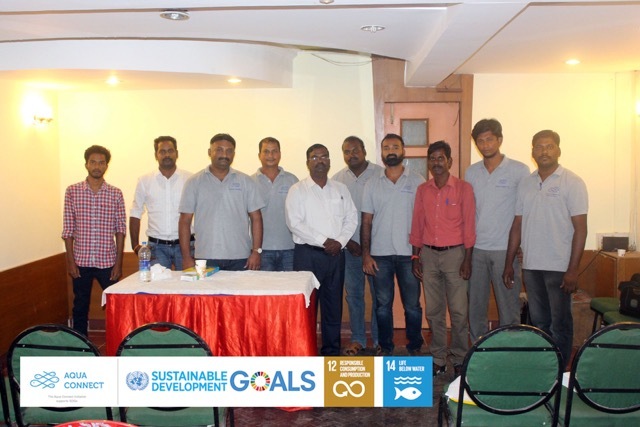 Based on the discussions and after meeting numerous shrimp growing farmers AquaConnect was formally started in 2017 to provide concrete solutions to the farmers using the technology. “We have a tie-up with well-established hatcheries that provide best quality shrimp seed and export houses that purchase the produce from the farmers at the best price. Besides we also have a team of aqua experts on the field who are constantly in touch with the farmers throughout the culture period right from the seed purchase till shrimp harvest and delivery,” he adds. “Hatcheries update their production schedule on our mobile app to let us know about the availability of the seed. As per the posts received we alert our team who then informs the farmers about the seed availability. As our team is always connected with the farmers they know about their requirements,” says Mr. Rajamanohar. Accordingly farmers procure seeds for shrimp culture. The seeds are assured of good quality as the hatcheries associated with AquaConnect are licensed and recognized in the industry. Farmers are skilled at their work yet sometimes they require technical guidance to get-through the difficult times to save their produce. “Our team helps them with the right advice at the right time. They even assist farmers in buying required medicines through our app at lesser cost,” he shares. Similarly farmers also buy feed at low price from AquaConnect than offered in the market. AquaConnect has successfully eliminated middlemen from the selling process. “Through our data collecting tools and on-field team we know when the farmer is ready for selling shrimp and accordingly he is given four selling options along with rates. Farmer is free to make the decision on selecting his buyer based on the quoted price and harvest the shrimps else he can hold it for some time. In this way we have enabled farmers to sell directly to the export house and that too with a choice,” he asserts. Export house collects shrimps from the farmers’ farm within 8 hours and makes the online payment directly into their account. 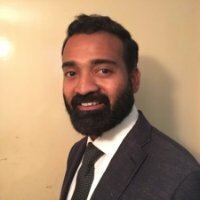 Initially it was planned to connect with the farmers through mobile app considering the vast penetration of smart phone in rural India however Mr. Rajamanohar along with his other two co-founders soon realized smart phones usage is limited to playing games and taking photos plus videos and not for business. “Therefore we introduced a toll-free number that was helpful in connecting with the farmers than the mobile app yet the numbers were not encouraging. Nevertheless we had to reach the farmers to help them so we appointed aqua experts for the face-to-face conversing. We learnt from our experience if we have to connect with rural India it is possible only through human interactions independent of technology intervention,” he affirms. AquaConnect plans to stay focused on Tamil Nadu and Andhra Pradesh region and make an impact by bringing the notable change in the life of farmers. Mr. Rajamanohar K S is technology entrepreneur with an extensive experience in building Internet and mobile technology driven businesses. He holds a graduate degree in Industrial Design from IIT Kanpur, India.